Search and rescue volunteers faced a life-threatening situation when two avalanches fell in the slopes of mountain Esja outside Reykjavík during a rescue operation on Sunday evening. 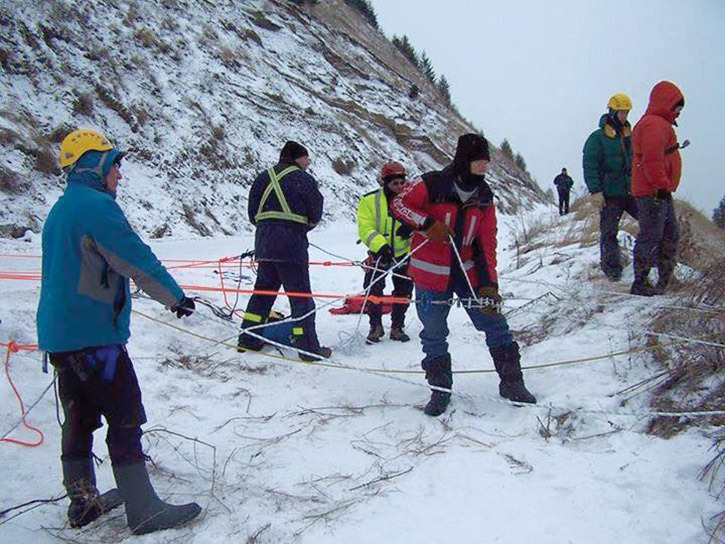 Two of the volunteers were tossed 80 meters (262 feet) with the second avalanche, one of them injuring his leg. They had been called out because of a hiker, a Norwegian, who had contacted the 112 emergency hotline between 5 and 6 pm on Sunday, requesting help, as he couldn’t find his way down from Esja in the deteriorating weather conditions,visir.is reports. 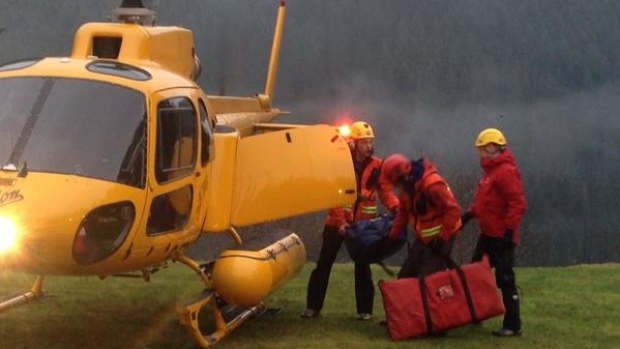 Over 100 search and rescue volunteers from ICE-SAR were called out to search for the man. It soon turned out that he was located in the innermost part of Blikadalur valley and the volunteers drove there on ski-doos. Among them were Guðmundur Óli Gunnarsson and Gísli Símonarson. They had driven their ski-doos up a steep slope but had to leave them approximately 500 meters from where the man was located. They continued on foot. Shortly afterwards an avalanche fell, throwing them ten to 15 meters but leaving them unharmed. Guðmundur and Gísli brought the man to their companions and then returned to pick up their ski-doos. Then a second, and much larger, avalanche fell. “Suddenly everything started moving, the snow just set off all around us and we rolled down some 50 or 80 meters,” Guðmundur recounted. Guðmundur said they were lucky to have escaped relatively unharmed, although he injured his foot. He described it as a terrible experience to have been caught up in the avalanche and admitted that he had feared for his life at one point. “Naturally we seriously considered withdrawing our team but we knew that we were very close to the man who was lost and that his condition was unstable. So we jointly decided to carry on and save the man,” Jónas Guðmundsson of ICE-SAR, who directed the rescue operation on Esja on Sunday, told visir.is. He added that if it had taken them a few more hours to get to the man it would have been too late. “We who live nearby tend to underestimate Esja. It’s a real mountain. 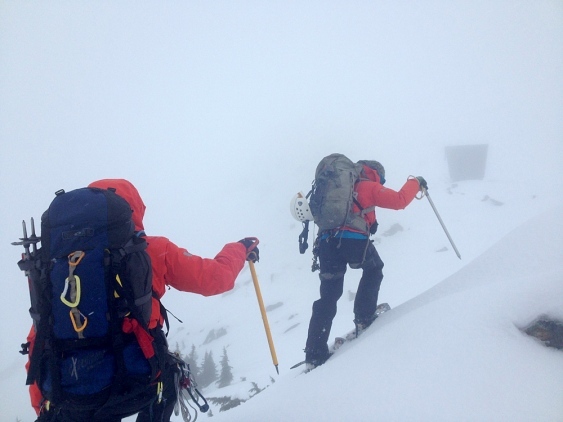 [When climbing] we achieve an elevation from zero to almost 1,000 meters [3,280 feet],” Jónas stated. ICE-SAR search and rescue teams were called out ten times last year to save hikers from Esja, often under difficult conditions. This entry was posted in Search and Rescue, Survival Weekly and tagged ATV, backpacking, boater safety, climbing, hiking, search and rescue, Search and rescue stories, snowmobiling, water safety, wilderness emergency, wilderness medicine, wilderness survival on January 14, 2015 by bigpigoutdoors.